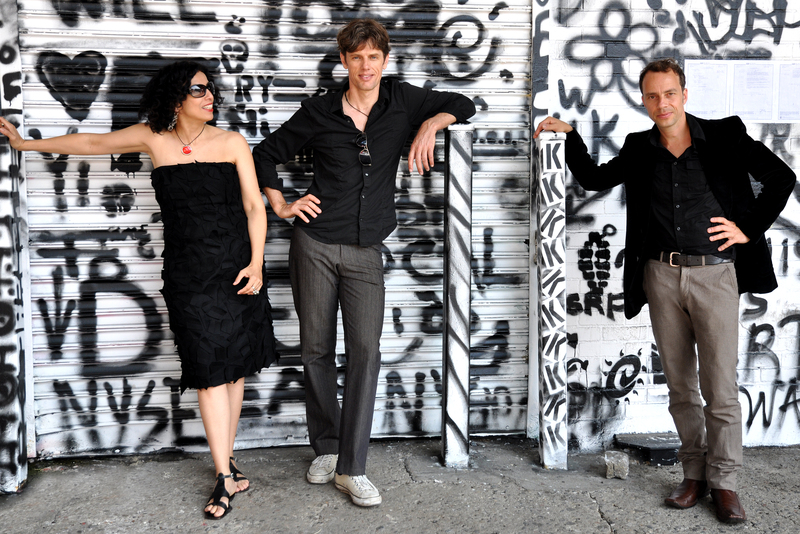 bossarenova trio is a transatlantic trio consisting of Paula Morelenbaum (voice) from Brazil, Joo Kraus (trumpet, beatbox) and Ralf Schmid (piano, electronics), both from Germany. Their first collaboration “bossarenova” with the SWR Big Band (Stuttgart Radio Big Band) celebrated Bossa Nova´s 50th anniversary in 2009 and had a great success in Europe and Brazil. The bossarenova project was invited to the U.S. in 2011, but due to visa problems, it was not possible to perform with the full Big Band. So bossarenova was downsized to its essence and called bossarenova trio. While performing in the U.S., Asia and Europe, the trio started merging ‘Lieder’ of the European classical tradition with repertoire from Brazil that is or has become ‘classic’. This new project Samba Prelúdio, a transatlantic song cycle, is released now by skip records.